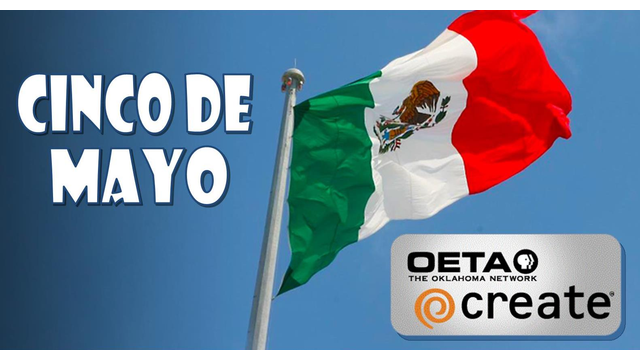 Celebrate Mexican heritage and pride this Saturday on OETA Create! Tie on your apron and join Oklahoma's own Rick Bayless as he explores the rich flavors of Mexico, one plate at a time. Then Chef Pati Jinich shows us how to whip up some tasty dishes for a Mexican Fiesta! We'll also step outside the kitchen to experience the rich history of Mexico with world travelers Joseph Rosendo and Rudy Maxa. We'll see Mexico from the perspective of a painter and a photographer as Gary Spetz brings Mexico to life on his canvas, and Art Wolfe captures Mexico’s beauty with his camera. Our non-stop adventure starts at 5am Saturday, May 2nd.